It’s been a busy week for us in terms of planning applications and we have submitted three documents to Merton Council. The sites and policies plan is an extremely important document. It contains all Merton’s planning policies that will be used in the assessment of planning applications in the borough once it has been adopted. It also identifies sites for redevelopment between 2014 and 2024. The plan has been available for public comment and a final draft will be produced and submitted to the Secretary of State for scrutiny by the end of September. in December there will be a public hearing by a planning inspector to examine the plans. The inspector will report in early 2014 with the final version being adopted by the council and put into general use some time during next year. You can see the document for yourself and register to be kept informed of meeting dates at Merton Council’s web site here. You may recall that a plan to demolish a bungalow on Commonside West and replace it with houses was turned down by the Council. The developers returned with a new proposal and while we did not object in principle we found some aspects, including having balconies on the front of the houses, unacceptable. Balconies easily and understandably become full of ‘clutter’ which could negatively affect the views of this important strand of homes in the Cricket Green Conservation Area from across Three Kings Piece. The developers have revised their plans and made adjustments to the balconies. You can read our comments on the revised plans here. We were shocked and surprised when Mcmillan Williams Solicitors on Cricket Green tore the original (1830s) windows out of their locally listed offices facing onto Cricket Green without having applied for permission to do so. The windows were replaced with modern windows totally out of keeping with the building. We contacted the Enforcement Officer at Merton Council, and Mcmillan Williams Solicitors has applied for planning permission to replace the windows it recently put in with new ones restoring them to a faithful replication of the original. You can read our comments on their application here. 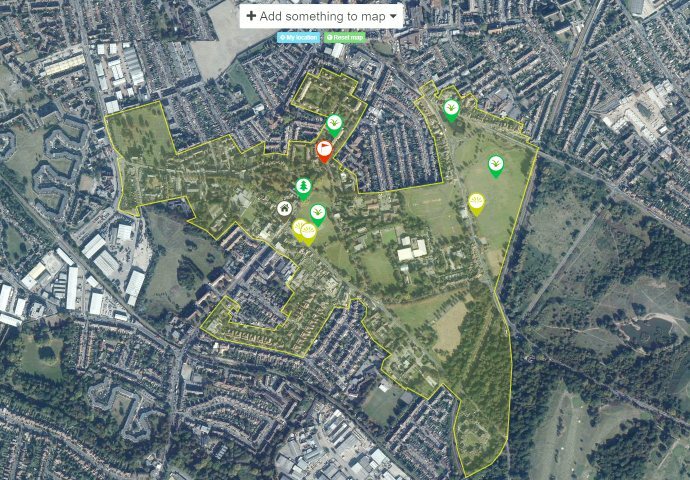 This entry was posted in Cricket Green Conservation Area and tagged Cricket Green Conservation Area, Mitcham Cricket Green, planning, Planning Applications, sites and policies plan on August 30, 2013 by mitchamcricketgreen.